All-in-one carwash and car service centre. Went there to get my transmission fluid changed together with the rear axle oil change. Original fluids and oils used for the car. Service was quick and efficient. Not much wait as they have dedicated bays for car service and carwash. Air conditioned waiting area available too. Reasonable labor charges. Will go there again for engine oil change in future. A dedicated team of employees is always an assets for the employee , that is what I felt when i visited this car service first time . 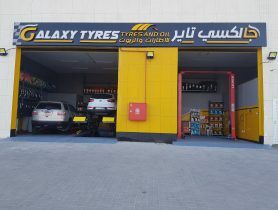 They were not doing anything extra ordinary with car servicing but their attitude towards the job made a big difference . I was leaving the service bay after water servicing and one of the guy asked me to stop , because he noticed some uncleaned bud at the bottom , so he brought the car back to washing bay and cleaned it again and I was really amazed to watch them doing the final cleaning . Good team keep it up . Fast and clean service.. Nice people as well.. 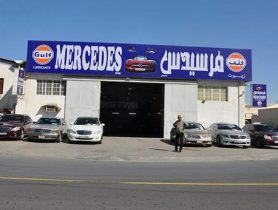 Car Service, Flash 1 Car Wash, Car Repair Workshop in SHOP 786، Rd No 4321, Arad 973, Car Repair Workshops in , Workshps, Car repairs in , Workhsops near me, Car Service Center in in SHOP 786، Rd No 4321, Arad 973 , Mechanic Near me, Mechanic in , Car Body Shop in, Car Repair Workshops.